Experiments in mice that model certain aspects of Rett syndrome suggest the pathology behind learning impairments in adult females and demonstrate in principle that they may be reversible. Adult female mice that model some of the symptoms of Rett syndrome are unable to learn how to corral wayward pups into a nest. New research suggests why, relating this behavior to impairments in the brain’s ability to learn. The study, published January 18 in Nature Communications, shows how Rett syndrome and perhaps other autism spectrum disorders cause learning-related changes that affect the adult brain. Dr. Krishnan and colleagues studied female mice with genetic mutations in Mecp2, the mouse equivalent of the MECP2 gene that has been implicated in Rett syndrome. (Rett syndrome overwhelmingly affects women – because the MECP2 gene is located on the X chromosome. That means females with Rett usually have one working copy of the gene in addition to the one that is mutated, while males born with Rett, with only one X chromosome, have no working copies, and often die early in life). The team discovered that during the five days following the birth of pups, normal Mecp2 gene expression is required in order for adult females to learn how to respond to the high-pitched squeals of mice pups and to gather the pups into a nest. Adult female mice with a mutated, non-functioning Mecp2 gene were unable to learn the behavior. The researchers traced the pathology to the brain’s auditory cortex. There, they found that the neurons needed to process the pups’ squeals were “handcuffed” by structures called perineuronal nets, or PNNs. These handcuffs restricted neural plasticity -- the ability or neurons to extend threadlike branches to form connections with other neurons. In healthy individuals, the forging of synapses lies at the heart of experience-based learning. 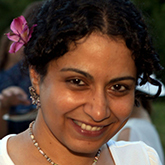 Dr. Krishnan and colleagues including team leader Stephen Shea, Ph.D., an associate professor at Cold Spring Harbor Laboratory, were able to restore this learning ability in adult female mice by using genetic and pharmaceutical means to alter expression of a key neurotransmitter called GABA in neural networks in the auditory cortex. Shea suggests this restoration reflects the ability of neurons in the auditory cortex to correctly perceive the vocalizations of pups, something the adult mice modeling Rett syndrome are unable to do. The research thus suggests in principle that in the future, it may be possible to reduce at least some symptoms of Rett syndrome.